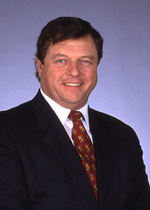 Stan Ashley joined Bullock Mannelly Partners in 1996 as a principal with the Investment & Finance Team. Stan specializes in acquisitions/dispositions, finance, and joint ventures for commercial properties throughout the Southeast. In recent years, Mr. Ashley has been responsible for over $1.5 billion in closed transactions. ©2019 Bullock Mannelly Partners, Inc.